Hypertext Transfer Protocol Secure (HTTPS) has been a priority for Google since the beginning of this protocol. Now, however, the search engine powerhouse is taking more drastic measures to enforce HTTPS with the goal of making a safer, more secure web for users. 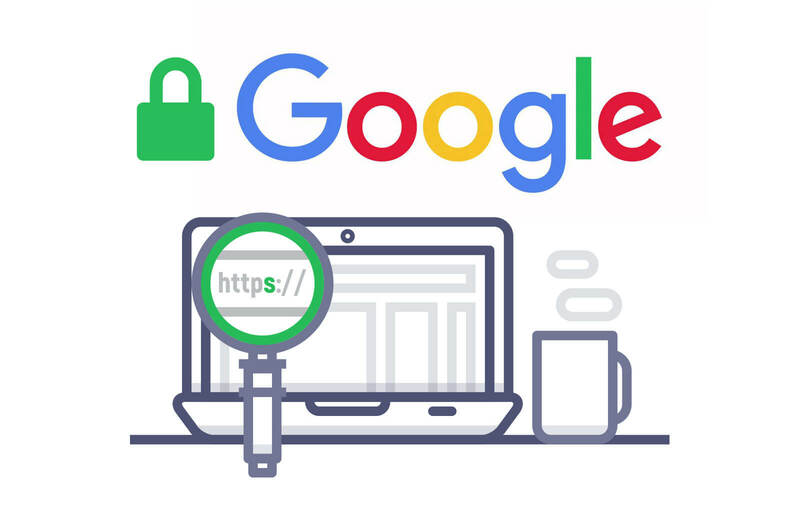 If you still haven’t adopted Google HTTPS, act fast or be prepared to face potential consequences – such as a significant loss of website visitors. Implementing HTTPS shows your users that you care about their data and information. It is also proof that they are visiting a safe, private site where hackers cannot mislead them, steal their information, or listen in on communications. Adopting HTTPS involves obtaining a security certificate for your website, which is further proof of protection for your users. Google HTTPS is highly important if you want users to trust your site and give you their business. What Are the Most Recent Policy Changes in HTTPS? Google has been pushing for more secure websites for years. Recently, the company has gone a step further toward promoting its HTTPS internet communication protocol. It has set a deadline – July 2018 – by which websites will need to implement HTTPS – or else. Google stated in the announcement that sites that do not adopt HTTPS encryption will receive a “not secure” label starting in July. Although Google has already labeled many HTTP pages “not secure” since the start of the initiative in 2014, it will now use this label on all websites without HTTPS. The deadline for adopting HTTPS coincides with the release of Chrome 68, Google’s latest browser update. Google will likely release Chrome 68 sometime during the week of July 22nd-28th. Stay on the safe side by encrypting your website as soon as you can. Otherwise, you might get the condemning “not secure” label attached to your webpages. Since Google Chrome makes up around 50.43% of market share worldwide, the initiative will have a heavy impact. With the deadline looming just around the corner, now is the time to act if you haven’t adopted HTTPS. You will first need to verify your site through a certificate authority to obtain your security certificate. If you have HTTPS, make sure your certificate has not expired. Also, double check that you’re using the latest protocol versions to avoid getting the “not secure” flag. Then you will need to implement HTTPS to mark your site as secure and keep your users feeling safe and confident in your site. If you don’t know where to begin with Google HTTPS, enlist help from the professionals at Arca Interactive – before it’s too late.